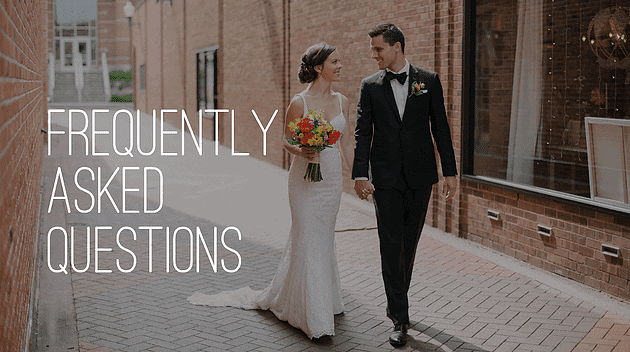 Here at Events by Jess we receive numerous questions from our clients leading up to their special day and make it our mission to leave not one of them unanswered or unfulfilled. Therefore, we decided to compile a list of only some of the top questions we get! Rehearsal dinners are basically a way for the bride and groom-to-be to spend time with the people closest to them before their wedding day in a relaxed, stress-free setting. This is done because it is very difficult to spend time with them at the reception with all the events occurring within the timeline and the other number of guests in attendance that they are to mingle with. Typically, it is held the night before the wedding or 2-3 nights before depending if it’s on a Sunday or a holiday weekend. The rehearsal dinner guest list should include the couple’s immediate families, bridal party, and any other guests that are of a top priority for them. D. Who hosts and pays? Traditionally, it is the groom’s family that takes financial control of the rehearsal dinner and is in charge of organizing it but if the couple isn’t into tradition for this specific event then they can take the reins instead. E. Where is it held? A fine restaurant is a perfect and common place for the rehearsal dinner to be held, but it could primarily be held anywhere the couple would like. A. What is the maid of honor in charge of? Prior to the wedding, the maid of honor should accompany the bride wedding dress shopping and bridesmaid shopping, be in charge of hosting the bachelorette party and/or the bridal shower, and assist the bride in any DIY projects she might want to undertake in order to save on the wedding.On the day of the wedding, the maid of honor should stay near the bride at all times in case there is something she may need from her or the planner, be a witness and sign the marriage certificate if it wasn’t done beforehand, and hold the bride’s bouquet and the groom’s ring during the exchanging of vows.At the reception, the maid of honor should make a funny and heartfelt toast to the couple, make sure they eat, and attest that everything of the couples is collected before departing, whether its gifts or bags of clothes/makeup. B. What is the best man in charge of? Prior to your wedding, the best man should accompany the groom on shopping for his tux, organize the groomsmen’s fittings, host the groom’s bachelor party, and be in charge of organizing a groomsmen’s gift for the groom.On the day of the wedding, the best man should help the groom get ready, get any payments for the wedding vendors and give them to the event planner, be a witness and sign the marriage certificate if it wasn’t done beforehand, and hold the bride’s ring during the exchanging of vows.At the reception, the best man should make a toast as well, and dance with the bride and the maid of honor. C. What are the bridesmaids and groomsmen in charge of? The bridesmaids and groomsmen’s duty is to basically assist the maid of honor and best man in helping the bride and groom with anything they may need in terms of planning the wedding, along with walking in the processional and recessional during the ceremony. 3. Who should be invited to the wedding? Who the bride and groom invite to their wedding is entirely up to them and the number of people they would like in attendance. Immediate families should be invited, the bridal party as well, and any close friends and family friends they can’t picture not sharing the special day with. It’s important to also keep in mind guests could potentially take a +1. 4. How do you prepare a seating chart? At least a month before, the bride and groom should sit and compile their seating chart for the reception. During this time, you should categorize each invitee by their relationship to you and your families and from there they will be seated in tables close to the sweetheart table and bridal party by level of importance. 5. How do you tip the wedding planner and vendors? 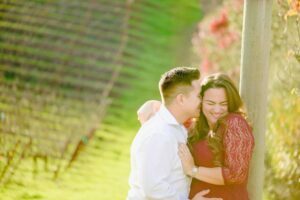 A simple “thank you” is always deeply appreciated by those who work hard on the bride and groom’s special day, however, monetary thank-yous are expected for some vendors in particular. These include a hair stylist and makeup artist, the wedding delivery and set-up staff, the wedding planner, the ceremony officiant, the reception staff, and the wedding transportation. There are also other ways of showing appreciation for their hard work like a little gift and/or thank you notes!